"Smartwatches from Apple will undoubtedly lead the way and despite increasing competition from watches running forked versions of Android as well as Wear OS, WatchOS will account for 27.5 percent of all watches in 2023," it said in a report. "Other than smartwatches, hybrid watches and simpler kids' watches will also continue to grow albeit at a much slower pace." 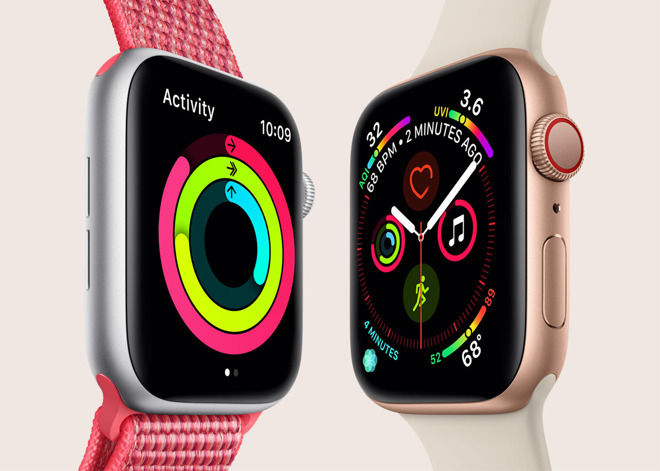 The firm didn't elaborate on the Apple figure, but predicted that the overall wearables market will grow 15.3 percent by the end of 2019 to reach 198.5 million units, and hit 279 million units in 2023, with watches representing 47.1 percent of that number. Apple's share would be approximately 36.1 million. Apple doesn't officially disclose Watch figures, instead wrapping units and revenue into wider categories. That's forced analysts to turn to other sources for data such as retailers. 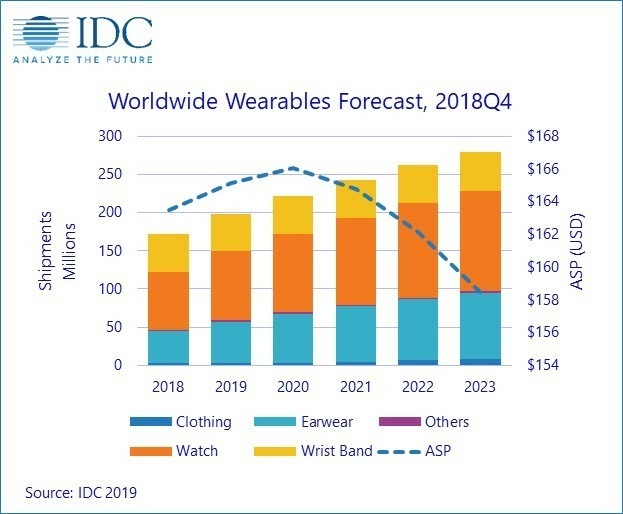 The IDC report mentions other wearable categories like "hearables," clothing, and fitness trackers, but doesn't make reference to augmented reality glasses and headsets. That could skew Apple forecasts, since the company is believed to be working on AR glasses that could ship as soon as 2020. Such a product could easily eliminate the need for an Apple Watch, overlaying info directly in front of a person's vision. Such a product could easily eliminate the need for an Apple Watch, overlaying info directly in front of a person's vision. That’s an interesting thought, though I can’t entirely agree with it. Being able to have the same or similar information “directly in front of a person’s vision” could be very handy and might be desirable for someone who prefers not to wear a watch but either doesn’t mind or already wears glasses. But I don’t currently wear glasses nor do I want to, especially when exercising, so I wouldn’t be replacing my watch with glasses at this time. That isn’t to say there won’t be another, more compelling reason to get a pair and maybe have both. Have we heard anything about fitness tracking being a part of the rumored AR glasses? That’s certainly a big part of the Apple Watch that would be sorely missed. I certainly wouldn’t want to see a jogger running with AR glasses on out in the street. Aren't they already higher than this? Or are they counting Fitbits that have clocks in them part of the market? My understanding was that Samsung was doing half decent, and Fitbit had some watches, but other than that WearOS was DOA. These numbers seem to passively bash Apple. No way Apple will have less than 40%.